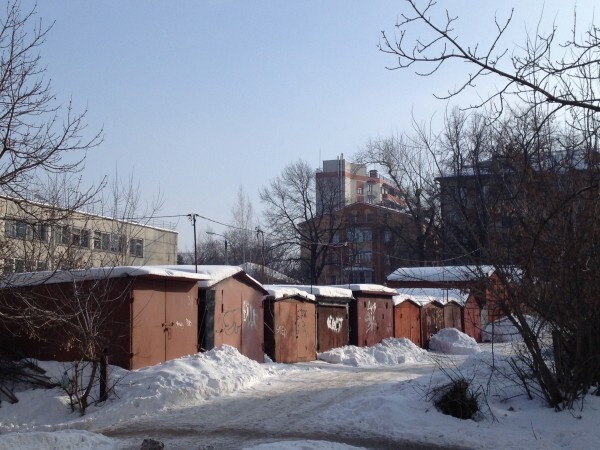 … these storage sheds are still a staple of courtyards of many Soviet apartment buildings in Tula. 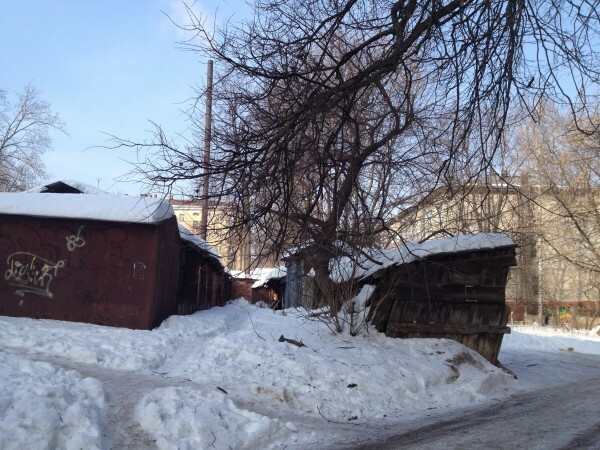 …and here they are — these old storage sheds, rickety but still standing. 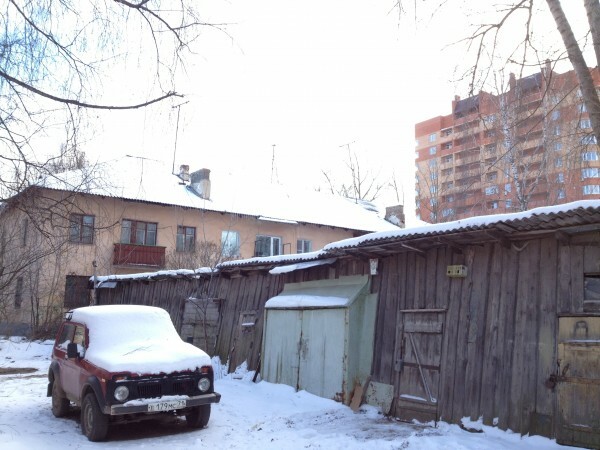 Storage sheds existed always in Russian towns, but in 1950s and 1960s and probably earlier they were officially considered “household buildings” and built with the development of apartment houses. 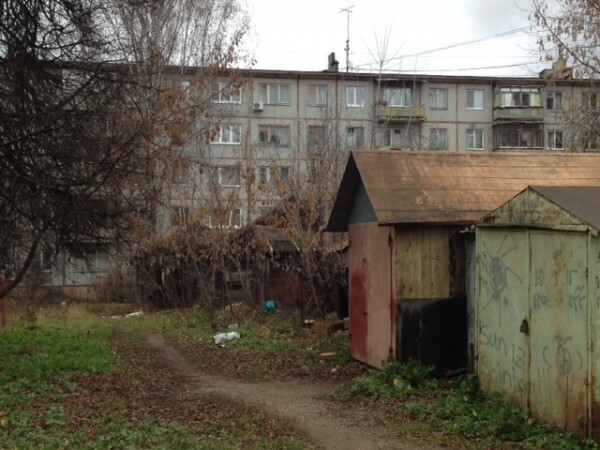 Each apartment was entitled to its own storage shed; people used them for storage but many, especially in smaller cities and towns, kept some small livestock there. A family could keep a pig and a couple of chickens in their sarai, as well as use it for storage of potatoes and other vegetables for the winter. Barrels with pickled cucumbers and apples, sauerkraut, jars of preserves – all very helpful and often indispensable items in a Soviet family’s diet. 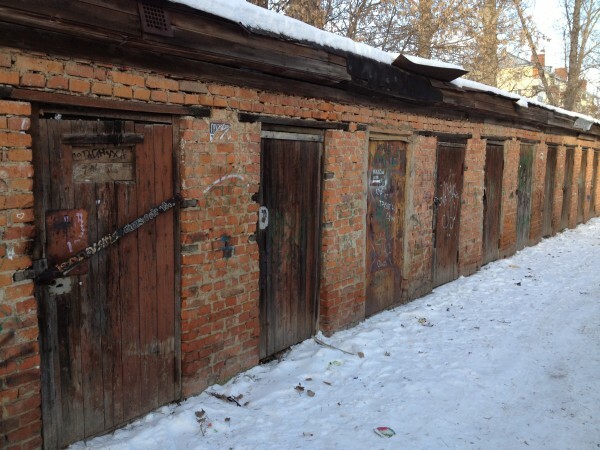 It seems that the fight against keeping the livestock in these storage sheds was initiated by Nikita Khrushchev in the 1960s but was not always successful. I remember such sarai from my childhood – a rusty metal bar across, a big key for the lock. Now there exists a number of issues associated with the sarai; for one, their legal (cadastral) status may not always be clear. (This is the reason, probably, why apartment owners of the adjacent buildings cannot tear them down on their own.) Besides being the thorn in the side of aesthetically attuned citizens storage sheds may also be a real fire threat. Once in a while you read about these fires, many of them probably arsons. This is one of the reasons city and towns’ administrations decide to raze storage sheds down, an act that sometimes receives a mixed reaction from the citizens. One of my favorite Soviet movies is Eldar Riazanov’s “Garage”. Out in 1979 this satirical comedy has a seemingly uneventful plot: a meeting of members of a garage cooperative in a research institute. A new highway construction will be going through the territory allocated for the cooperative thus reducing its space by four garages. Whose future garage will have to be sacrificed is for the members of the cooperative to decide. The subtleties of human nature depicted in the film are universal and a-temporal (this is precisely the reason this movie remains so popular) but are, nevertheless, based on Soviet realities. 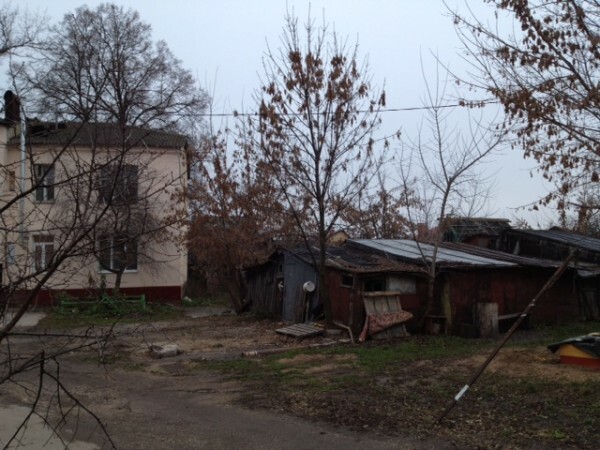 It is a fact well known that the script is based on the real story that happened to Riazanov in his own quest for a garage. A garage, similar to a car, was a coveted, very costly and often unattainable possession in the Soviet Union. Leaving in a city you could not just get a garage for your personal car, you could either be eligible for one (being a war veteran or handicapped) or you could become a member of a garage cooperative. 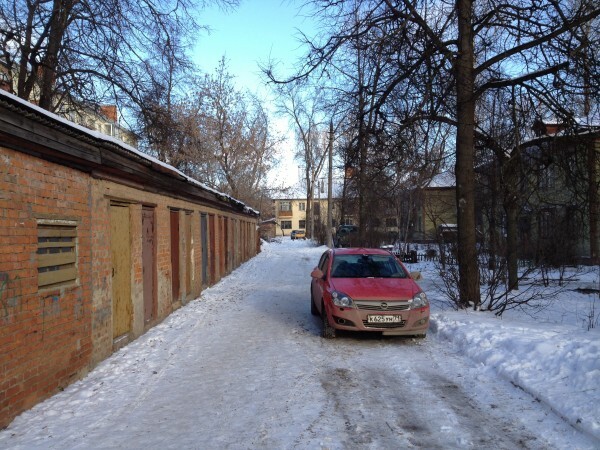 Urban garages transcended their main purpose of protecting lucky citizens’ cars from the elements and thieves. 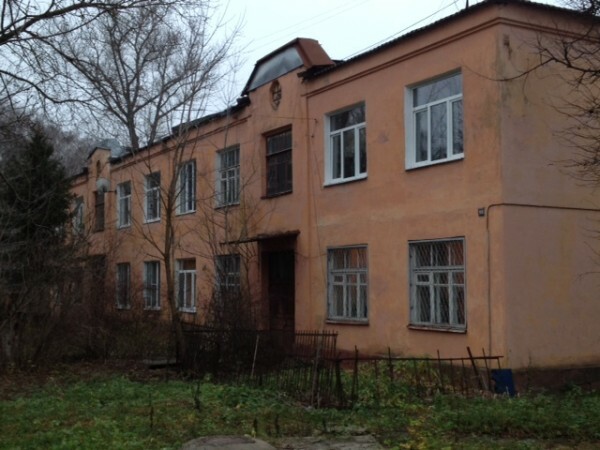 In the land of no private property it was a quasi-private territory for a Soviet man, a strange substitute for a man’s study and even a club. You could use it for storage – starting with vegetables and preserves for the winter and parts for your car. You could spend numerous weekends there in peace working on your car or mingling with other lucky owners of neighboring garages. 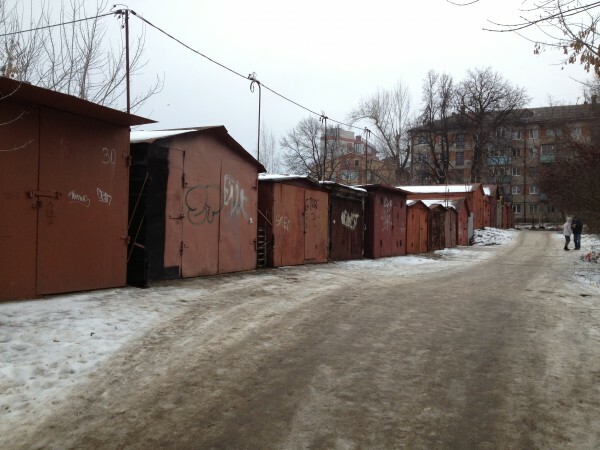 Today these metal rusty boxes look ugly, their status often lowered to that of storage sheds (sarai). I can only imagine what sarai and garages keep nowadays – old furniture, old toys, probably a lot of glass jars used for pickling which, in its own turn, became so much less popular. Anything but not chickens or pigs! And moreover, probably not cars either. It is strange but you seldom see an open garage or a car pulling out; and I know many people who own a garage but prefer to keep their cars in parking lots. Storage sheds and garages will undoubtedly be gone soon. But now they are storing the past. 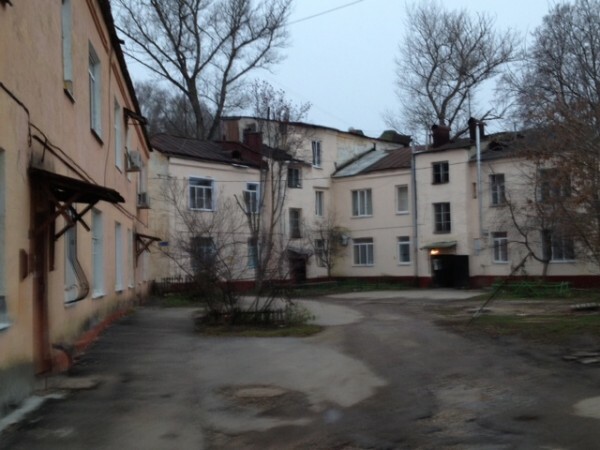 This entry was tagged garages, sarai, storage sheds. Bookmark the permalink.